This Saturday (October 4), Asia’s King of Talk Boy Abunda is back to bravely take the spotlight in “The Bottomline with Boy Abunda,” and to answer speculations about his haunting illness. Taking the hot seat for the very first time, the King of Talk will tell us about the struggles he went through as he underwent a medical procedure called aspiration of the liver abscess. He tells us about his fear of death, and his enduring love for his mother. 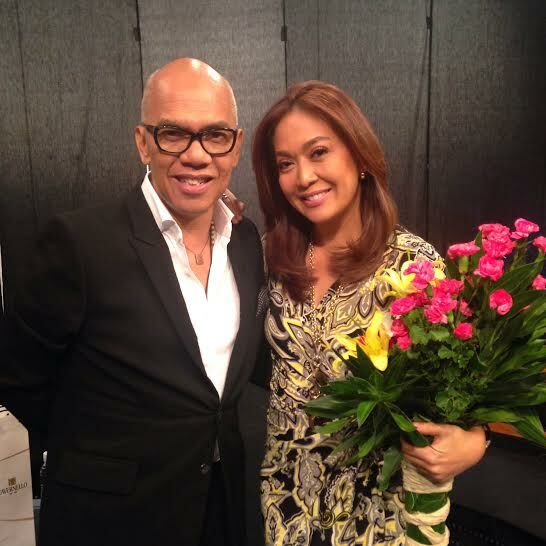 Together with the multi-awarded journalist Karen Davila, Boy Abunda will answer questions and bring us deeper into discussions about life with God, about how his health ordeal became a wakeup call. He also talks about his relationship with his long-term partner, Bong Quintana, and how he recovered from his illness. Don’t miss another relevant and engaging discussion with Asia’s undisputed King of Talk, Boy Abunda, on the “The Bottomline With Boy Abunda,” the 10th USTv Students’ Choice Awards 2014 Students’ Choice of Public Affairs Program, this Saturday after “Banana Split: Extra Scoop.” For more updates, log on to www.abs-cbn.com or follow @abscbndotcom on Twitter.